Published on March 6, 2011 in Bands/Artists, Downloads, Eastern Iowa, Music, Out and About and Upcoming Show. 0 Comments Tags: Bo Ramsey, Daytrotter, download, Dream #9, Jim Viner, Jon Penner, Live, mp3, One and All, Pieta Brown, Shimmer, The Mill Restaurant, tour. 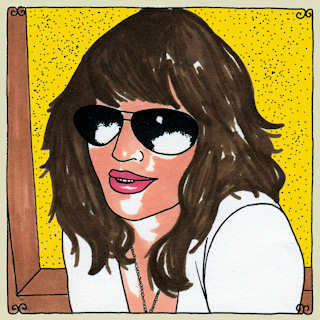 Today Daytrotter posted a session I’ve been waiting over a year-and-a-half to hear– Pieta Brown‘s encore session! The session was recorded Thursday, June 11, 2009 using a short-lived band lineup called “Dream #9” with Jim Viner on drums, Jon Penner on bass and Bo Ramsey on guitar. They performed only two shows in this configuration. June 11th at The Redstone Room in Davenport and then on June 12th at The Mill in Iowa City, which I reviewed. Pieta’s first Daytrotter session was recorded in March of 2008. Between these two sessions recorded less than a year apart, Pieta would go from being on a semi-major label to being “in limbo” with no label. A situation which was remedied by September 2009. Nevertheless, Pieta had self-released an EP titled Flight Time in October 2008 and both sessions include songs from Flight Time as well as her Shimmer EP— produced by Don Was and her debut release on Red House Records. 1. “#807” is from her 2005 release In The Cool, which was released on Valley Entertainment and apparently is still in print! 2. “Going Away Blues” is a Frank Stokes cover that Pieta also recorded for her self-released 2003 EP I Never Told which is impossibly out-of-print. I managed to get one of these when Pieta discovered a box last year. 3. “4th of July” also on In The Cool. 4. “Sunrise Highway #44” is from her self-released EP Flight Time which is still available on CDBaby. 5. “You’re My Lover Now” is from her debut Shimmer EP on Red House Records. This version differs from the EP version by having some nice subtle brushwork from Jim Viner. Published on November 29, 2010 in Bands/Artists, Eastern Iowa, Music, Out and About and Upcoming Show. 0 Comments Tags: Alexis Stevens, Bo Ramsey, Jamie Hudrlik, Live, One and All, Pieta Brown, Sandy Dyas, Sonya Naumann, Stan Crocker, The Mill Restaurant, The Vagabonds, This Land Is Your Music, Upcoming Show. It’s hard to believe that it already has been over a year since Pieta Brown hosted her first artist-in-residence at The Mill Restaurant. That show was three Thursday night shows in November last year (see my reviews for: 11/5, 11/12, 11/19). Next to the Daytrotter Barnstormer shows, these were some of my favorite shows of 2009– very intimate and special. The stage lighting and design by Stan Crocker was a great touch– an eclectic little living room. Pieta was using these shows to try out some live band configurations– solo, duo and full band. To help bring some awareness to the art scene in the area, she set aside the room normally reserved as the green room as a gallery which was really cool, too. The only disappointing thing to me about these shows was the lack of audience on a couple of the shows. By the 11/19 show, it seemed like word had gotten out about these gigs. But, mid-week shows are always hit-or-miss in Iowa City, even when school is in session. Saturday, December 4. Pieta Brown performs a solo set. Her special guest will be Iowa City trio The Vagabonds. The art in the gallery will be done by Stan Crocker and Sonya Naumann. Sonya Naumann has a really interesting photography project called “Thousand Dollar Dress” that maybe we’ll get to see some of in the gallery. Saturday, December 11. 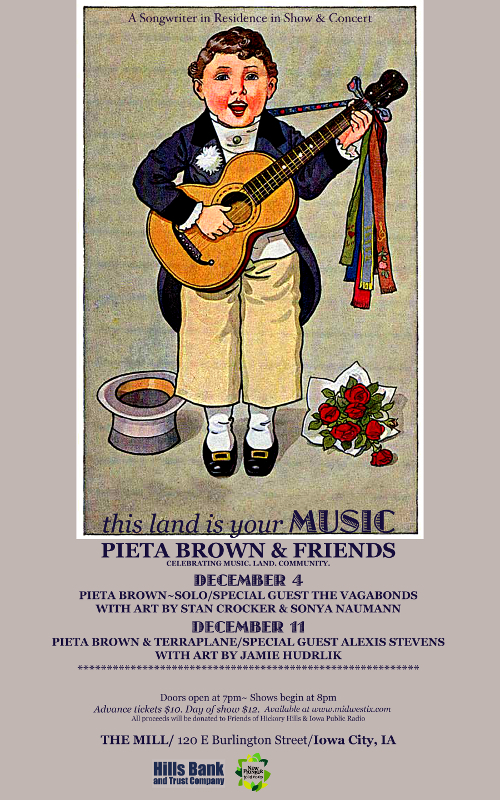 Pieta Brown & Terraplane headlines. We don’t know exactly who is in the band, but Bo Ramsey lists this show in the tour section of his site. Alexis Stevens will open. The gallery will have works by Jamie Hudrlik (who happens to be the very talented daughter of Iowa City photographer Sandy Dyas who showed photographs last year). I suspect that Pieta will have some of her wonderful new 180g vinyl pressings of One and All with her, too. (I got my copy this week!). Click Here for The Mill Restaurant website. Click Here to visit midwestix.com to pre-order tickets to This Land Is Your Music II. 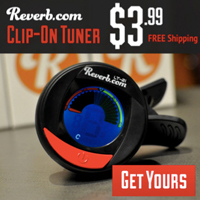 Published on April 9, 2010 in Bands/Artists, Eastern Iowa, Music and Reviews. 0 Comments Tags: Bo Ramsey, Greg Brown, Iowa City, One and All, Pieta Brown, Red House Records, review, RSVP. I’m awoken by the flash and rumbles of the first spring storm. 5:55 AM floods into my retinas rinsing recent dreams into faint images. In my head there’s music– like every morning– a score played over the final scenes of my sleeping film I’ll soon forget. I roll on to my back and look at the runny light reflected on the ceiling and listen to the music in my head– it’s “El Guero” from One and All. 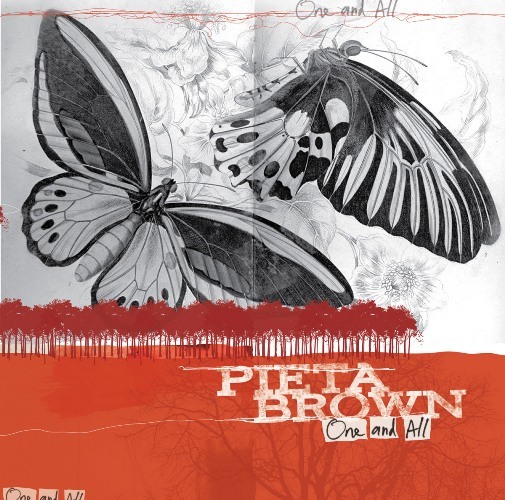 In conjunction with the Mission Creek Iowa City music festival that happened last week where she performed, Pieta Brown put her new CD One and All (Red House Records) in a couple stores to sell a week before the release date of 4/6. Over lunch last week I ran down to Iowa City to RSVP to pick up a copy. The week I’ve had with it has apparently contributed to the music that plays in my head. 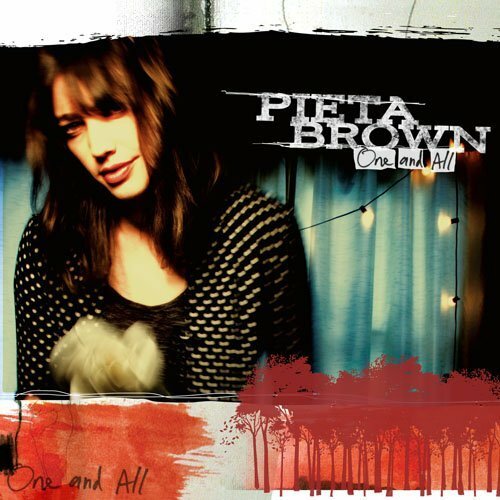 One and All is the first full album and the second release (the first being the EP Shimmer, produced by Don Was) by Pieta Brown on her new label home Red House Records. 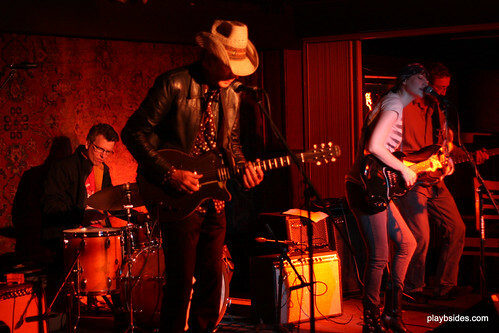 Red House has become kind of a center of the Eastern Iowa Blues and Folk scene. Starting with Pieta’s father Greg Brown they also have Greg’s long-time friend Dave Moore as well as The Pines which has Bo Ramsey’s son Benson in it. I’ve mentioned here before that I think the partnership of Pieta and Red House is one that ultimately should help foster her career. After years following Bo Ramsey’s career, I find myself gravitating to albums that he produced or played on and One and All has that pull for me as well. As with the previous six releases dating back to her self-titled 2002 release on the now-defunct Trailer Records, her constant collaborator Bo Ramsey takes a key role in the sound of the album providing his vocal harmonies and trademark clean country blues guitar riffing. Joining Bo and Pieta is their regular bass player Jon Penner and drummer Steve Hayes. JT Bates who played drums on The Pines newest album also played on One and All— apparently together with Hayes on some songs according to an entry on Bates’s blog. Brian Wilkie from Chicago Bluegrass band Majors Junction provides some tasty pedal steel. Pieta’s sister Constie contributes harmonies and Bo’s son Alex Ramsey provides keyboards on “Faller.” Additionally, Joey Burns from Calexico returns the favor of Pieta and Bo contributing vocals and guitar to “Slowness” on their 2008 album Carried to Dust by contributing cello and accordion. Pieta delivers a gentle– almost dreamy vocal over the balanced and paced instrumentals. This is music with a sense of place more than an urge of destination. We could go somewhere but let’s sit on the porch enjoying the breeze blowing through the screen door. This quote as well as the one at the beginning of this review helps frame– if you will– the lyrics to Pieta’s songs for me. The lyrics on One and All are made up of images– the “shady grove and tattoo sleeves”, the “Pink birds in a pile of leaves” of “El Guero.” The passage of “You got your fine shirt/I got a cheap cigar/You’re in the sunshine/I’m in a dirty bar/Back by the jukebox/I’m lost in the sound” sets up two people in different places in their lives and in their surroundings. We’re never told who these portraits are of– or even the full story. These paintings are not studies in the hard oil of realism, but more the impressionistic water color. The fading dream recounted to another. The details leave, but it is the feelings that hold. If art is in the eye of the beholder, it is because we can become part of a piece by completing it with our particular experience. With One and All we are left to interpret this picture with our own details– the jukebox at our local bar, our own records against the wall, the pile of leaves at our feet. Pieta has created in One and All an album that draws the listener in– a welcomed– if gently engaging soundtrack. Click Here to download or listen to “Faller” from One and All. The Time to play b-sides archives for the one-and-all tag.